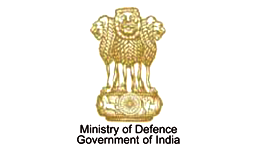 Ministry of Defence Jobs Recruitment Notification 2019.Ministry of Defence, Army Service Corps units Under Jurisdiction Head Quarters 16 corps inviting applications for the positions of Fire Engine Driver, Fireman, Industrial Mazdoor.Interested and Eligible candidates can apply for the positions. Last Date for Submission of Application is on April 17th, 2019. Application Fee: Rs. 25/- alongwith the application required for dispatch of Acknowledgement / Admit Card. Industrial Mazdoor, Fire Engine Driver & Fireman to reach 898 AT Bn ASC, PIN-905898, C/O 56 APO. Selection Will be Based on Place of practical / Physical/ Written test. 1. Candidates will enclose self addressed one envelopes, affixing postal stamps of Rs. 25/- alongwith the application required for dispatch of Acknowledgement / Admit Card if screened successfully so as to reach 898 AT Bn ASC within 30 (THIRTY) days from the date of publication of this advertisement. The candidates are required to superscribe on the top of envelope Acknowledgement/Admit Card and Certificate from Attesting Authority to be typed on separate A4 size plain papers.. Application will not (WILL NOT) be entertained without Appendix ‘A’ , Annexure-I & Annexure-II or non receipt of separate envelopes duly affixed with postal stamps of Rs.25/- and after closing date i.e. 30 days from the date of publication of this advertisement notice in Employment News and / or other Newspapers. This HQ will not be responsible for any postal delays and no application will be entertained after the due date. 2. Individual who has furnished wrong information in the application form, false certificate to avail benefits / reservation, false/wrong information in the application form regarding relatives or who have fully or partially suppressed any material information shall be liable to cancellation of candidature at any stage of recruitment process and / or termination of service, if the candidate has been selected. 3. No TA/DA is admissible, Duration of each test can be 02 to 05 days or more. Candidates will make their own arrangement for lodging/ boarding during the test/ interview. 4. Vacancies may vary (increase/ decrease) subject to availability of post or change in PE and non-extension of validity of NAC. 5. Detailed Eligibility Criteria and application form is also available at www.indianarmy.nic.in and Employment News' news paper.